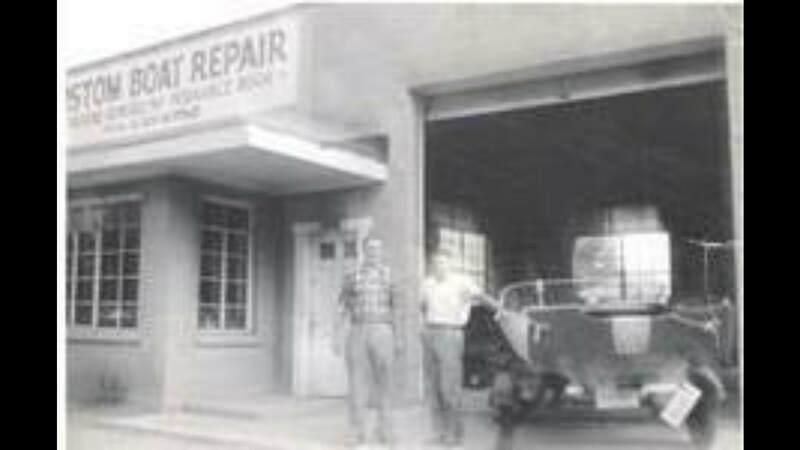 In 1963, Fred Denhard established Fred’s Custom Boat Repair, off of 8 Mile Road, in Detroit, Michigan. In the early 60s, Fred and his team specialized in custom wood boat restoration, repairs and custom builds, with mahogany kit boats. In the late 1960s, the marine world was introduced to a new material that would eventually take over as the new standard in boat construction: fiberglass. As the industry began to shift from wood construction to fiberglass, in the 1970s, Fred’s Custom Boat Repair, began to learning and mastering the art of fiberglass boat repair. In 1980, Fred moved his facility to a new location in Novi, off of 9 Mile Road. In 1982, former employee, and present-day owner, Brian Woods, took over the business and continued to operate it out of the Novi location, until 1991. Brian moved Fred’s to its new, and current, location, in Waterford, Michigan.